Growing up as a black, gay male in 1980’s Conservative Britain, Ajamu’s work tells of the struggle for self-identification experienced by so many during a period rife with racism and homophobia. Yet, as much as his work deals with the difficulties involved in inhabiting this complex area of marginalisation within magrinalisation, it seems simultaneously to reject the conventional idea of identity. Citing Foucault as a significant influence upon his work, Ajamu builds upon the French philosopher’s thinking who, in his rejection of “labels,” shunned the “gay” identity placed upon him. Yet rather than refuting these labels, Ajamu embraces them (an act embodied in the very title of the event itself,) using his work to renegotiate their meaning. Fluid and dynamic in essence, these meanings renegotiate themselves in order to find space for the myriad of individuals that belong within their boundaries. The profusion of black, gay realities that exist throughout Britain are sidelined from the dominant norm and hidden entirely from view. 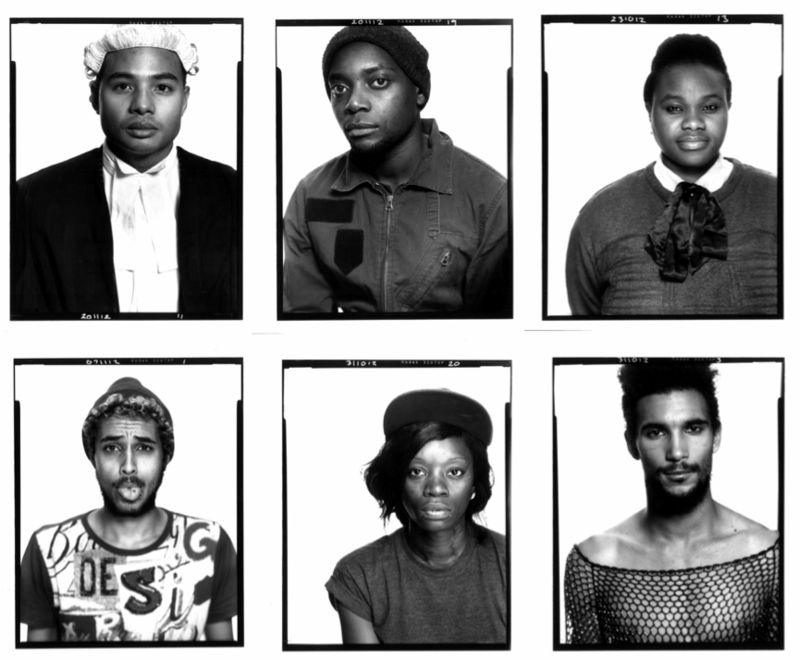 Ajamu’s latest project Fierce offers a space in which a new generation of black, gay Britons is able to discover, accept and expand its various identities. As these private realities are publicly exposed, so too is an affirmation of their place and right to belong in a society that fails to represent them. Ajamu’s first major exhibition Black Bodyscapes (1994) focuses on the private sexual realities of black gay men. Through these images, he plays out various expressions of sexuality that are concealed against a cultural landscape where the norms for sexual practices have been firmly dictated. Anything mediating from this sexual norm is subordinated and marginalised. Whereas homosexuality is no longer the taboo it previously was, certain sexual practices still are- both in hetero and homo sexual relations. Blurring the lines between socially established dichotomies, Ajamu disrupts what is considered “normal” with regards to sexuality and desire. His placement of “feminine” props and attire against the naked male body seeks to distort fixed gender notions. Here, the transgender politics of Patrick Califia are aroused, who questioned the possibility of being “both male and female,” to ”create an individual synthesis of gender expression that is a path between these dichotomies.” Through this visual reconsidering of external, socially enforced gender symbols, the viewer is invited to similarly reassess internal gender stereotypes, such as “tenderness” and “toughness.” In the same way, Ajamu reevaluates ideas of sexual dominance and submissiveness, interlacing images of black male intimacy and affection with those of erotically charged expression of desire. His close-up shots of male features recall those of Robert Mapplethorpe, whose work brought into question the “white gaze” and considered black male sexuality as a fetishised Other. By incorporating self-portraits into his body of work, Ajamu rewrites this Colonial notion of the black male body by stripping the viewer of their ability to “fetishise” by independently and feely offering up his own body to any and all voyeuristic gazes. Through this elaborate dismantling of fixed labels, Ajamu allows for a new identity to emerge – one that perhaps lends an element of truth to George Bataille’s assertion of the “loss of self in eroticism”.